Comment: Fireplace remodel - remove old tile and replace with stone. Comment: Fan in heater growels when running. Comment: At the beginning of the week, the AC didn't work. Now that it's cooler, the heat doesn't work. A serviceman made a visit and said the condenser motor died and he could replace it soon with a "rescue motor." When I called today to schedule an appointment, "soon" became up to two weeks. The cold I can handle but the heat is too much for my St. Bernard. Comment: My furnace has been acting up and I'm looking to replace it. Right now it is natural gas. I'm looking for quotes for both electric and natural gas. Prescott Heating & Furnace Contractors are rated 4.80 out of 5 based on 244 reviews of 7 pros. 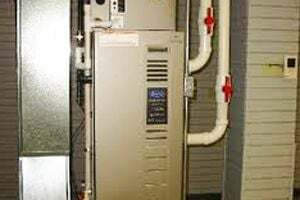 Not Looking for Heating & Furnace Systems Contractors in Prescott, AZ?